The birthplace of Claire Lee Chennault, commander of the American Volunteer Group, also known as the Flying Tigers. 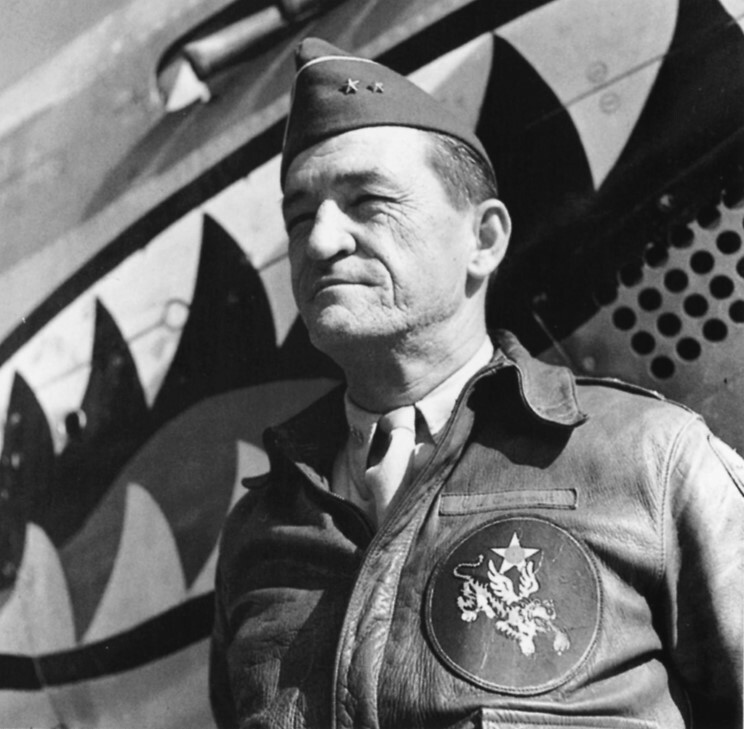 He led the Flying Tigers in China before the United States entered World War II. When America entered the war, he took command of all Allied Air Forces in the far east. He was born in Commerce, Texas, on September 6, 1890 and died in Washington, D.C. on July 27, 1958. He is buried in Section 2 of Arlington National Cemetery and his headstone is inscribed in both English and Chinese. Chennault retired with the rank of Major General, but was promoted to Lieutenant General just before his death in 1958. The birthplace of Claire Lee Chennault is located at 1501 Monroe St., Commerce, Texas and is now privately owned. The birthplace of Claire Lee Chennault. Close-up of the State of Texas historical marker in front of the birthplace of Claire Lee Chennault. Major General Claire Lee Chennault.